Unlike that of the French in Viet Nam or the Dutch in Indonesia, British colonisation in Malaya critically depended on the maintenance of traditional ruling structures. The legitimacy of British colonial rule in Malaya was premised on recognition of the Malay Ruler’s cultural sovereignty and the ancillary protection given to his territorial integrity. In return, the British obtained unimpeded and exclusive access to trading rights and resources within the Malay state. Importantly, colonialism introduced the formalisation of modern social and political institutions aimed at operationalising the capitalist economy through the colonial state. If there was anything that all developing societies shared in common, it was the way European colonisation had prepared for them the foundations of the modern capitalist state. As a conduit for capitalist expansion in Malaya, the colonial system was meant primarily to benefit British and European capitalists. It also put into place an ethnically fragmented and stratified social structure, whose emergent inequalities were sourced from two socio-economic trends typical of capitalist development in colonial societies. One was the concentration of certain sectors of the economy favouring specific geographical areas where the extraction, processing and transport of strategic resources, such as rubber and tin, were carried out. The other was the development of a racialised division of labour that not only gave the colonial state expediency and control over capitalist production, but whose resulting hierarchy and ranks determined the social experiences of each ethnic group with regard to social status and economic life chances. Capitalist development in Malaya began with rapid growth in the tin-mining sector. A multiplier effect of the tin industry was the proliferation of towns along the Perak–Selangor corridor, such as Taiping, Ipoh, Kuala Lumpur and Port Swettenham, which functioned as arterial points of communication and exchange. The urbanisation process was concomitant with a boom in population and public investments in telegraph networks, railways, paved highways, schools, electrification and water services. When rubber and palm oil later appeared as lucrative export commodities, their plantations were also more likely to have been established on the outskirts of areas already equipped with these conveniences. The delivery in infrastructure was consequential in increasing the flow of circulatory capital in the urban commercial and retail sectors, driving the development of Malaya’s west-coast states much faster than that in other parts of the country. The intensity in economic activities inside the urban centres was a glaring contrast to the unobtrusive atmosphere of the rural heartlands. Lacking valuable raw materials and isolated by geographical barriers, large expanses of the countryside were not a primary attraction to the British colonial state. There was a discernible neglect in public and private investments in those areas. In the peninsula’s largest state of Pahang, for example, modern highways were not introduced until the mid-1920s, before which riverine transport had been the main mode of travel. Development was far slower in the former Unfederated Malay States, where subsistence rice farming and fishing were for a long time the mainstay of the local economies. This urban–rural divide, along with the disparity in development between the western and eastern coasts, also coincided with widening social inequalities brought about by an occupational structure that was broadly channelled along racial and ethnic lines. 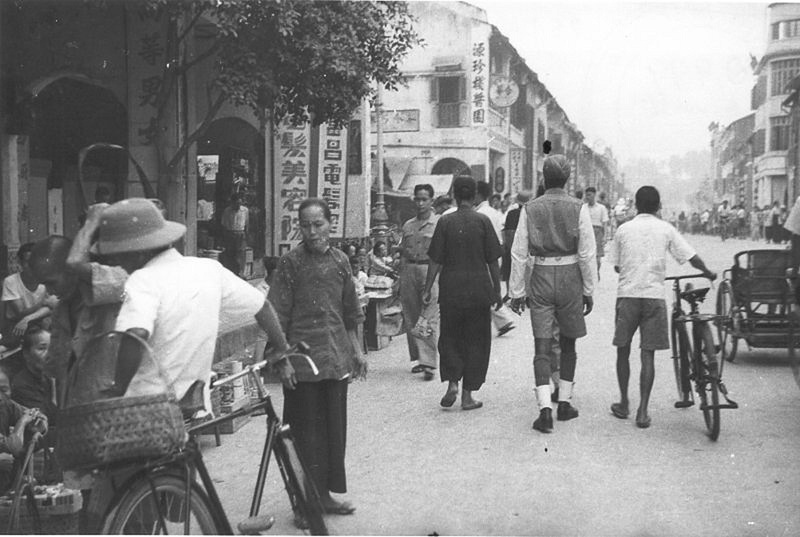 The turn of the 20th century witnessed a huge wave of immigration from southern China. Most migrants were poor peasants from the Hokkien, Hakka, Cantonese and Teochew sub-ethnic groups. Sought for work in the growing tin industry, many were also sojourners intending to return home with their saved wages. By the end of the 1920s, however, Chinese made up nearly almost one-third of Malaya’s population. By then, a considerable number had disbanded from the mining sector to take advantage of new openings in the burgeoning urban-centred economy. Pulled to the cities, the Chinese effectively became the pioneer participants of Malaya’s new capitalist economy, enabling them to gradually monopolise the middle activities of the economy, such as transport, retail and wholesaling. Through their clan memberships, the Chinese put together extensive support networks to facilitate the smooth operations of their businesses. The Hokkien and Teochew communities, for example, were noted for their efficiencies in banking, transport and finance. .
By the 1930s, Chinese migrants were no longer a transient community. Unlike the Malay-speaking Peranakan, who felt relatively secure with their western-oriented and centuries-old Malayanised identity, the newer arrivals faced uncertainties over their sense of belonging in Malaya. As an economically successful diaspora, the newer Chinese were reluctant to assimilate in the same tradition as their earlier counterparts. Instead, they were caught in a profound dilemma of balancing modernism with traditionalism—needing to adapt to the capitalist environment of their adopted land, while feeling compelled to maintain a nostalgic identification with their ancestral home. Influenced by a small Chinese-educated middle class, the political direction of the Chinese in colonial Malaya was to be largely shaped by a vision that conflated the concept of being Chinese in Malaya with the more overwhelming notion of national loyalty to China. Indians in Malaya were not as politically mobilised as Chinese, although they shared a similar migration path in the way of economic ‘pull’ factors. An interesting stipulation for the use of Indian labour, however, was its prohibition in the mining sector. This was a clear illustration of the colonial state’s method of overseeing both the tin and rubber industries through an ethnic division of labour. Otherwise, the patterns of employment for Indians tended to follow their sub-ethnicity or traditional social status. Those hired for menial and plantation jobs under the Kangani indentured system were likely to have come from the lower castes of the Tamil ethnic group, whose hardships and servitude were compounded by their perpetual seclusion on privately owned estates. The smaller populations of Sikhs, Gujeratis and Malabaris, some of whom were Muslims, fared a little better, with greater access to a range of jobs in the public services or small businesses. The life of upper castes from all Indian groups was far more comfortable, with many able to venture into profitable enterprises, such as retail and finance. Others emerged as members of the new urban middle class, whose English education gained them entrance into salaried-positions in businesses and bureaucracies. 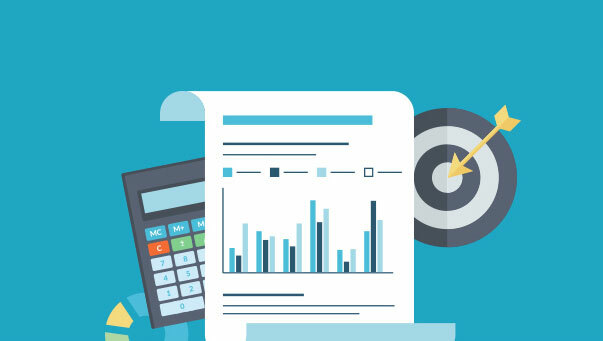 New socio-economic conditions in Malaya also released many from the traditional constraints of the caste system to benefit from urban job opportunities. Overall, however, Indians remained generally divided by both demography and a fairly rigid caste system that prevented any meaningful interaction among the various groups. Any shared interest that may have minimally unified the community lay mostly in issues affecting British India. 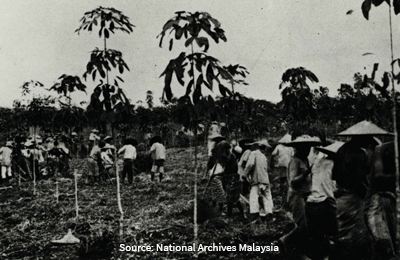 While the Chinese and Indians were vulnerable to the roller-coaster economy affected by international demand for rubber and tin, the Malay peasants were also economically vulnerable. Land enactments in the early part of the 20th century were intended to protect Malay customary lands, but one outcome was that they also circumscribed rural Malays within subsistence agriculture while opening up vast tracts of rural lands to European capitalists. The aim to constrict Malays to small-holding farming was a deliberate and rational policy, because binding Malays to the traditional ruling structure also acceded them to the authority of both the rulers and the colonial state. It was imperative for the British that Malay sons follow their fathers’ avocations in agricultural pursuits, and not be ‘overeducated’ in the few vernacular schools in nearby towns. The fear of mass education was, of course, embedded in the possibility that the ‘common Malay’ could be politically empowered by knowledge. Consequently, the extent of Malay poverty and isolation can be captured, for example, in the high rates of infant mortality, illiteracy and malnutrition. With gradual migratory flows to the cities, however, Malay school enrolment rose, but Malays’ overall employment in the modern sectors still lagged drastically behind that of other groups. The nature of British indirect rule did, however, require the delegation of some aspects of administration to the Malay comprador elites. Unlike their rural counterparts, the small circle of Malay aristocrats was conferred the privilege of a selective English education. In 1905, a special boarding school, the Malay College, was established exclusively for ‘boys of good birth.’ On graduation, these young men were effectively guaranteed positions in the lower ranks of the state and federal governments as surveyors, court interpreters and junior technicians. A number of them went on to attain higher credentials in various professional occupations. However, any aspiration on their part to the higher tiers of their organisations was curtailed by their race. The higher management and leadership positions remained almost exclusively a British preserve. The disparities in occupation, income and wealth became more salient when comparisons were made across the three major ethnic groups. These inequalities were reproduced by successive generations to signify the structural relationship between the groups in the years preceding independence. By 1950, Malays were still overwhelmingly concentrated in rural agriculture; Indians were more evenly spread between the lower urban and rural occupations; and Chinese, while many formed a low-income stratum, also maintained heavy representation in the retail, sales and professional categories to assume, on average, the highest income and wealth levels of the three groups. These inequalities were not merely economic. The differences in overall class standings were accompanied by segmented experiences in lifestyle, prestige and political worldviews. In Malaya, the British assumed the apex of all political, economic and social hierarchies, and the narratives used to explain these differences were primarily rooted in ideas that reflected the understanding of race during that period. Azlan Tajuddin. 2012. Malaysia in the World Economy (1824–2011): Capitalism, Ethnic Divisions, and ‘Managed’ Democracy. Rowman & Littlefield: Lanham, MD.